Over the years, we have received several emails from customers who say that our website photos don’t do justice to the beauty of their ochs und junior “in the metal”. Subject: Love it even more in person! To start the new year, we wanted to provide some background on how we approach watch imagery. A common watch industry practice is to show computer renderings of watches instead of photos of actual watches. This enables a brand to optimize lighting in a way that would be hard or impossible to do in real life, as well as change colors and backgrounds with just a few mouse clicks. A problem, though, is that the images can come out looking “too perfect” – the images can overpromise on screen and the watch can underdeliver in person. Comments from disappointed watch fans can be read in forums across the web. Perhaps this is also one reason for the popularity of “wrist shots”. 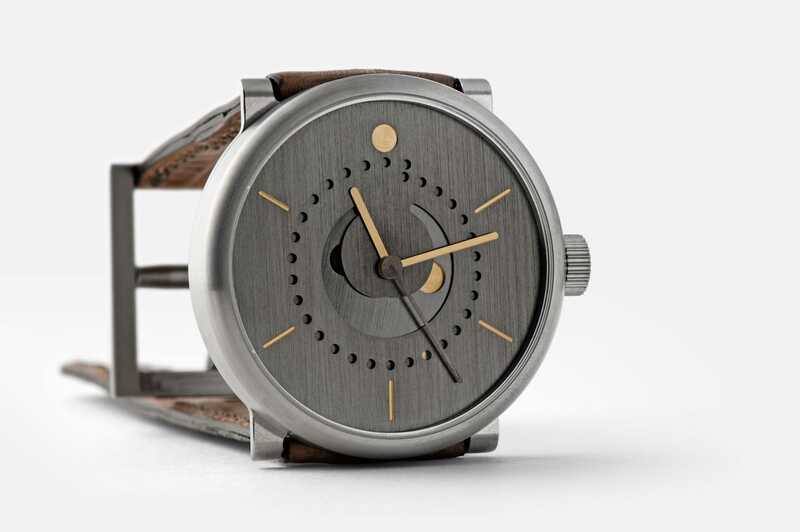 At ochs und junior, the only place we use rendering is in our online customizer tool (example: moon phase). Every other watch picture you see on our website is a photo of a real ochs und junior. 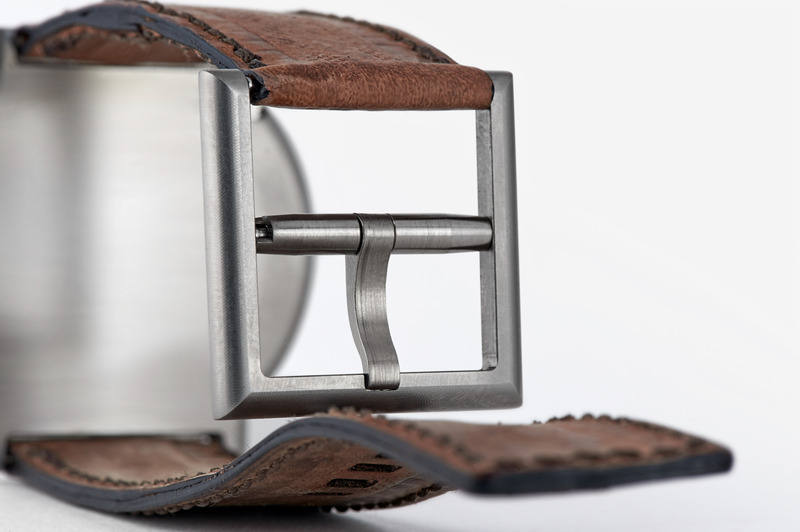 The reason is that we believe this is the most authentic way to show visible machining, patinated surfaces, and natural leather straps (even 8 months old used ones!). It also gives “life” to the images. 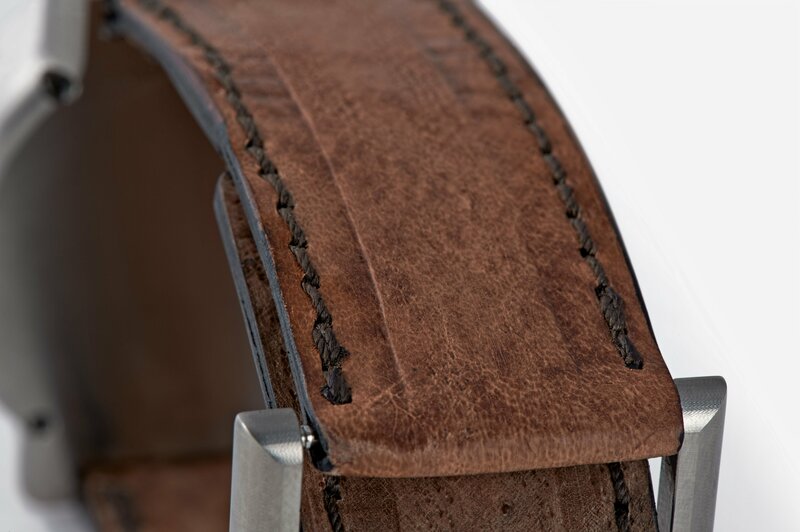 Our watches are photographed with used straps that were often just on one of our wrists. 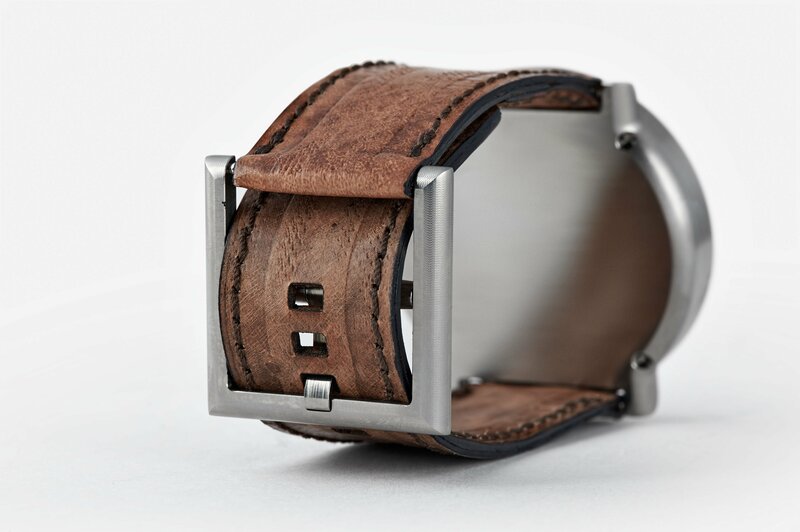 The appearance is more like your ochs und junior after you took it off your wrist at home. The background is usually a standard sheet of A3 white paper (the same paper Beat uses to explain how ochs und junior watches work to visitors in Lucerne). And of course, it isn’t always 10:10 when you glance at your wrist. 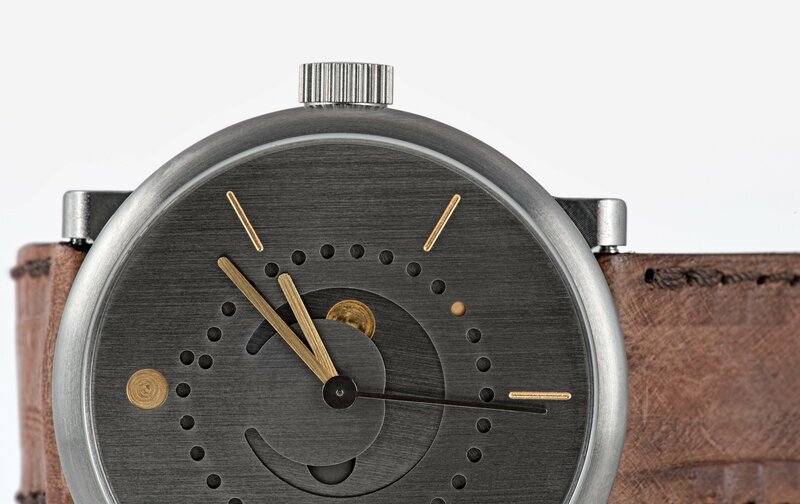 A result of us consciously not trying to make our images “too perfect” is that ochs und junior’s watches can be surprisingly beautiful in the metal, as our customers have written to tell us. Our photographer Bea Weinmann recently upgraded from the Nikon D3X to the Nikon D4. The photos on this page are the first watch photos she took with her new camera. We’re extremely proud. We believe they come closer to how our patinated dials and visibly machined cases actually look than we ever have before. 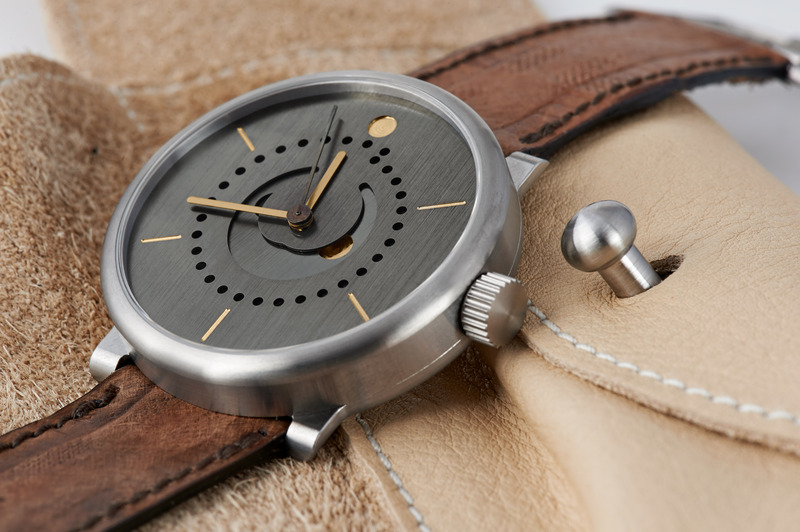 moon phase patina has been the most popular ochs und junior since it launched in 2012. 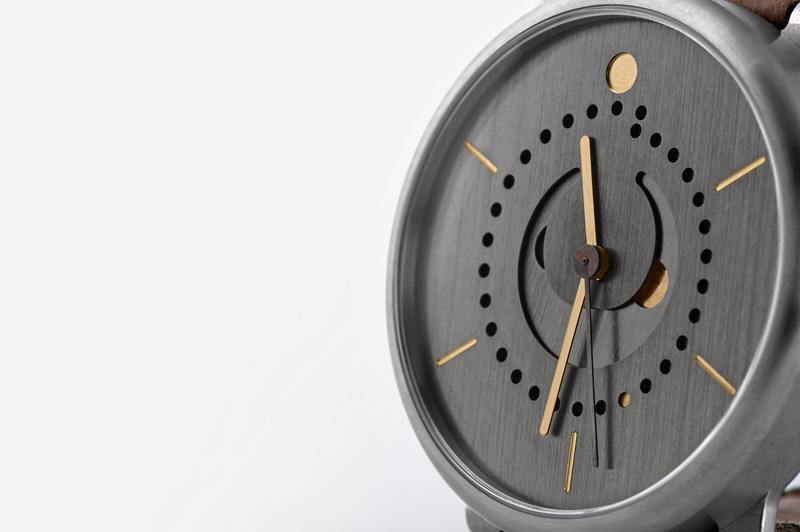 The 100% metal execution of Oechslin’s ultra-precise moon phase is pure ochs und junior. 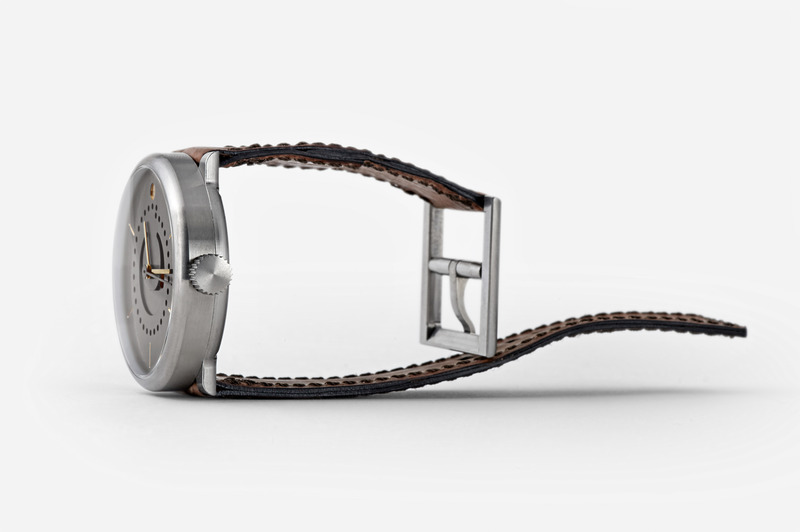 If we could only manufacture one watch, this would be it. The 42mm titanium edition of moon phase patina in these photos is fitted with the latest execution of Sabina Brägger’s waterproof, hand-made Swiss sturgeon leather strap. It is soft from the first wear, and is just as robust as the earlier prototypes. Wrist shots of moon phase patina with a black nappa leather band are available in this post from January 17, 2014, and full information about the ochs und junior moon phase is available here. Best wishes from Lucerne for the new year!